Back by popular demand, Bravo Amici’s talented tenors and divas whose vocal style blends the genres of pop and classical returns with their tribute to the emerging genre of contemporary classic crossover music. Singing a collection of classical and contemporary arias, Bravo Amici’s vocalists are some of the most acclaimed international performers, having sold more than 3 million albums. 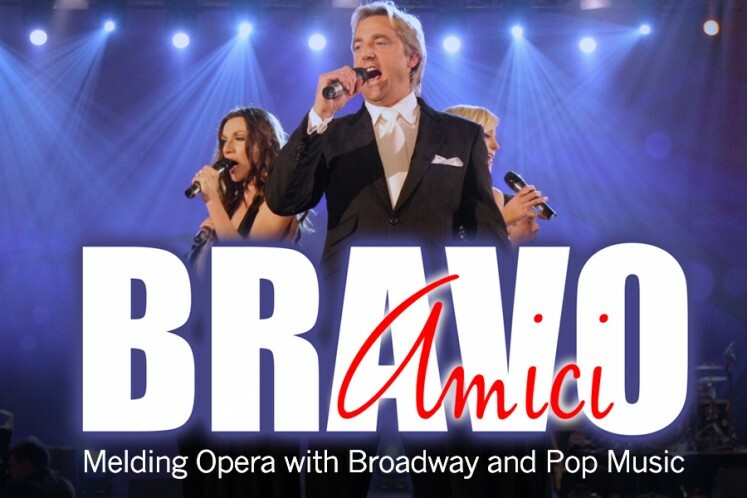 Bravo Amici takes on the best of pop and opera, imbuing the genres with a taste of the classical.